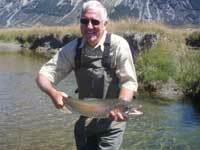 Qualified professional with 40+ years fishing experience & more than 22 years as a fishing guide. 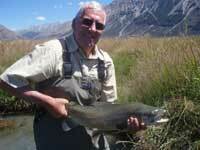 Below are photos and a story from the recent month's guided fly fishing trips. Chris is more used to delivering babies than fly fishing for trout but for this lovely gentleman this was his day! With near perfect spotting conditions the day turned out to be a beaut. The fish were cooperative and happy to come up for dry flies. 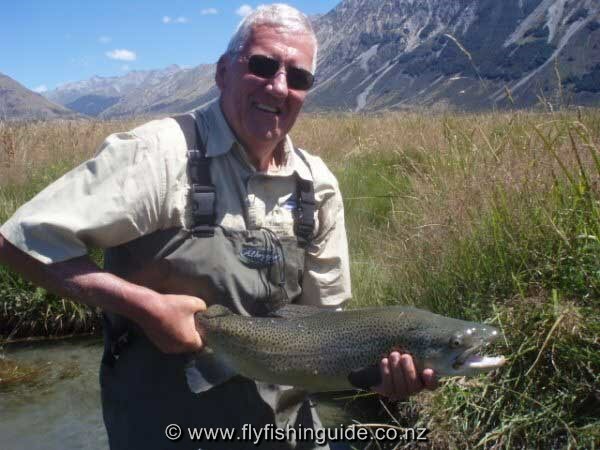 Over the 15 years of guiding I have found that very often the most layed back and undemanding clients are the ones that invariably have the best success. Chris fits into that category. We had a super day together - almost unbelievable since trout are fickle creatures and can be "glued" to the botttom. Luckily for us this wasn't the case today. Everything was on song and went to plan. As Chris said, he has had many wonderful moments seeing parents' joy of a new born child and some very sad ones too........... Today, however was indeed a blue ribbon day. In Chris's words an "experience of a lifetime".